Ok. Are you getting tired of apples yet? No? Good! Me neither! Thank goodness for cookbooks, eh? This was one that intrigued me by the title, Bake Me a Cake as Fast as You Can: Over 100 super easy, fast and delicious recipes. Hells yes! Bring it! I’m very keen to try out some of the sweet cakes, but I do tend to stay with the more savoury snacks. And with the current theme – Apple and cheese (Mmmmmmmmm). This recipe quickly made the to-do list. Check out this book for really lovely other recipes!! 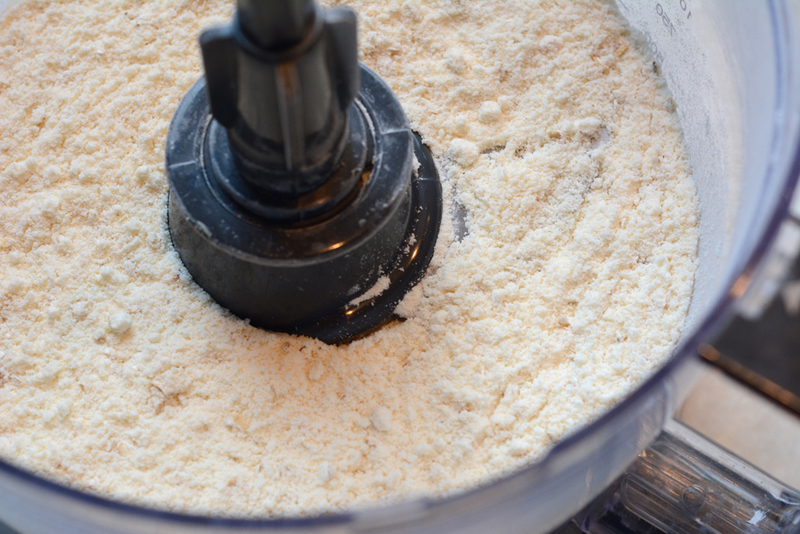 Put the flour, baking powder, LSC, oats, and butter into a food processor and pulse until the mixture looks like breadcrumbs. 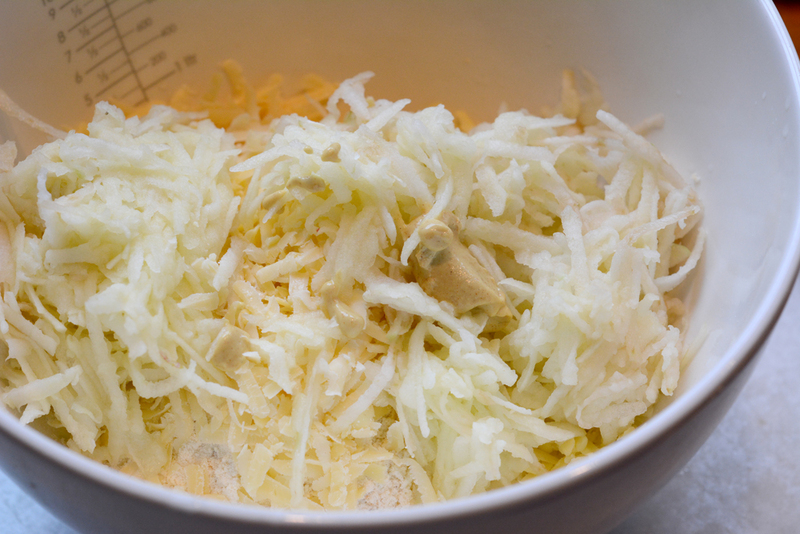 Place the mixture in a bowl with the apple, cheese, mustard, and egg, saving about a tbsp of egg. Stir until just combined. 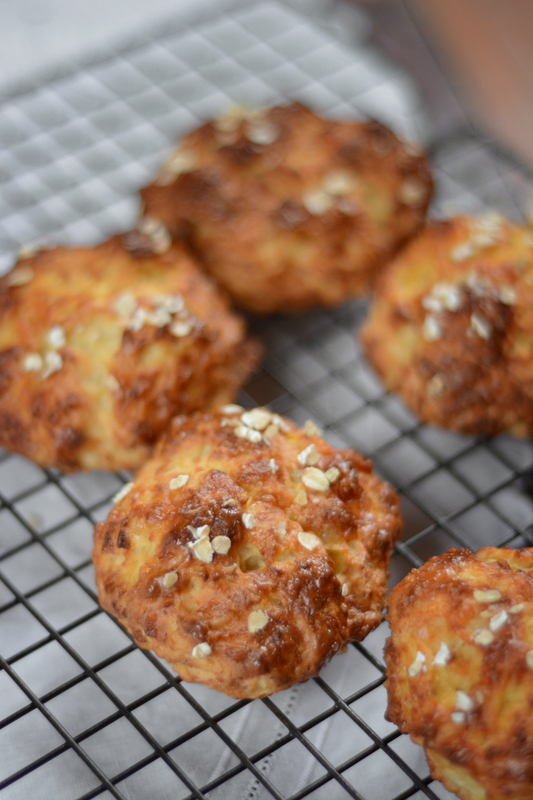 Form the dough into rough balls with your hands and place on the lined baking trays. With a knife, slash each ball with a cross and brush the extra egg on the tops. Sprinkle with a few extra oats. Bake for about 20 minutes. Once done, they will come away from the baking paper without any problem. Then cool on a wire rack. Based on the recipe from Bake Me a Cake as Fast as You Can by Miranda Gore Brown. Preheat the oven to 220C, line two baking trays with baking paper. 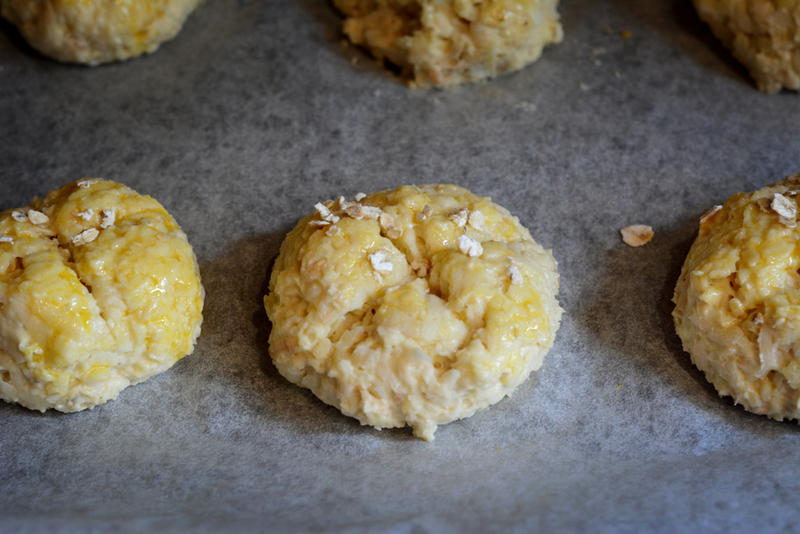 Form the dough into rough balls with your hands and place on the lined baking trays. With a knife, slash each ball with a cross and brush the extra egg on the tops. 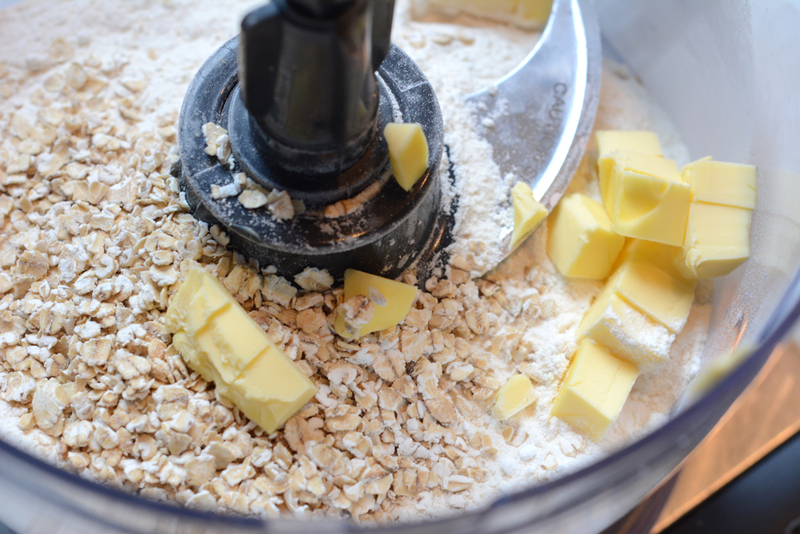 Sprinkle with a few extra oats. Previous Post Apple & Cheese Toasties! Reblogged this on HighChair Chow .